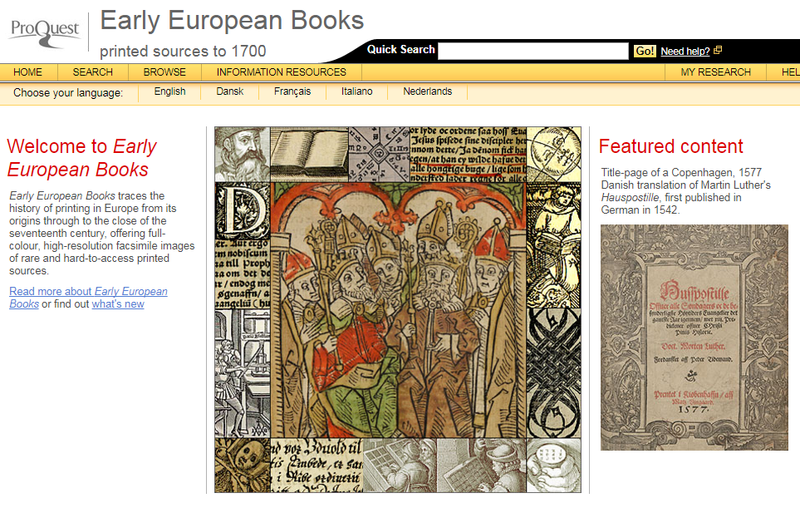 Following a request from staff in History the Library currently has trial access to all collections available in ProQuest’s Early European Books, a database that aims to trace the history of printing in Europe from its origins to 1700. While the Library already gives you access to Collections 1-4, this trial period gives you access to the further 7 collections currently available in Early European Books. Trial access ends 15th September 2017.